Do you know that you convey a message of eternal life or death without saying a word? I know, quite a responsibility. But our part is just to cling to Jesus. He takes care of the rest. How does that happen? Let’s find out. Whether we are messengers of eternal life or death depends on our relationship with Christ. If we are in Christ, we give off a sweet scent rising to God. This means God delights in us and he is well pleased with our lives. This all because of Christ! It really is the aroma of Christ; an aroma redolent with life. However, if we are not in Christ, our odor is quite different and not pleasing to God. We can’t produce the aroma of Christ on our own. It just happens when we abide in Christ. But the more we abide in Christ, the sweeter and stronger the fragrance of eternal life will be. This exquisite fragrance can only be perceived spiritually. But everybody does not like the scent of eternal life. Those who are not friends with grace think it is the worst odor on the earth because it warns them about judgment and death. But God calls all of us to him to receive the grace of God and eternal life. After embracing God’s grace, we all give off some of the aroma of Christ. How about you? What do you smell like? Lent is a perfect time for spiritual check-up. 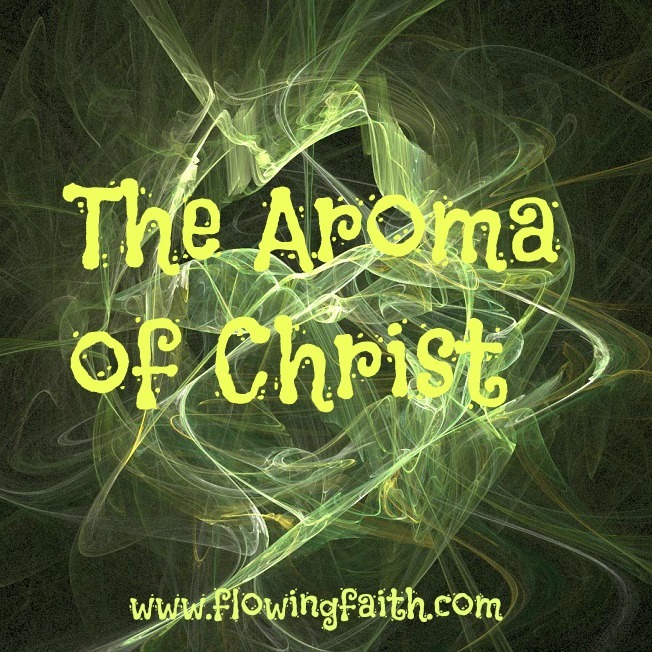 Is there something that hinders or competes with the aroma of Christ in your life? Maybe it’s time for some spiritual spring cleaning? Anyhow, rejoice in the Lord and let the sweet spiritual fragrance rise to God. Thank you for giving us Jesus for our sacrifice. Thank you for producing the sweet aroma of Christ through us. Thank you that because of Christ we can be pleasing to you. Thank you that we can be messengers of eternal life. Help us to see if something hinders the aroma of Christ in us. Make our fragrance most pleasing to you. Q4U: What do you smell like? How do you feel like being a messenger of eternal life/death? Be blessed, my fellow pilgrim, as you give off a sweet scent rising to God! 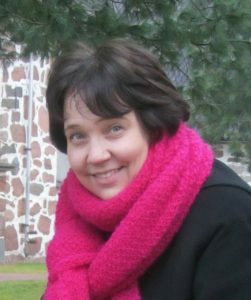 Image courtesy of Phyl Brown, design Mari-Anna Stålnacke. Linking up today with Unite the Bloggersphere , Three Word Wednesday and #tellhisstory.